If you take some time to read what the early rpg designers had read, you will see that they almost compulsively lifted material from pulp and new wave writers. The most surprising thing about this is the extent to which they passed over the grand masters of Campbellian science fiction. The authors that are synonymous with the field seemed to hold not one iota of attraction or influence to them. Mike Mearls thinks almost entirely in terms of television and movies. These things had a negligible impact on the first wave of rpg designers. For them it was short stories and novellas and short novels from dozens of authors that were primary. There was no “big three” for them: they read everything they could get their hands on. Looking for Asimov and Heinlein and Clarke in your seventies rpgs…? You’re just not going to find them– not, at least, in the games that got a lot of play. Those guys might be synonymous with science fiction today, but they had very little impact on what actually drove peoples’ imaginations then. Compared to guys like Jack Vance, E. C. Tubb, and Jerry Pournelle they were insignificant. Read them for yourself and you’ll see: the authors that inspired the rpg designers in the seventies don’t just provide an unparalleled entertainment value. They are also a perfect fit for tabletop gaming and will change the way they you view both science fiction and science fiction gaming. And as always, please support my researches in to rpg and sff history by purchasing your paperbacks through the Amazon links on the book images you see here. 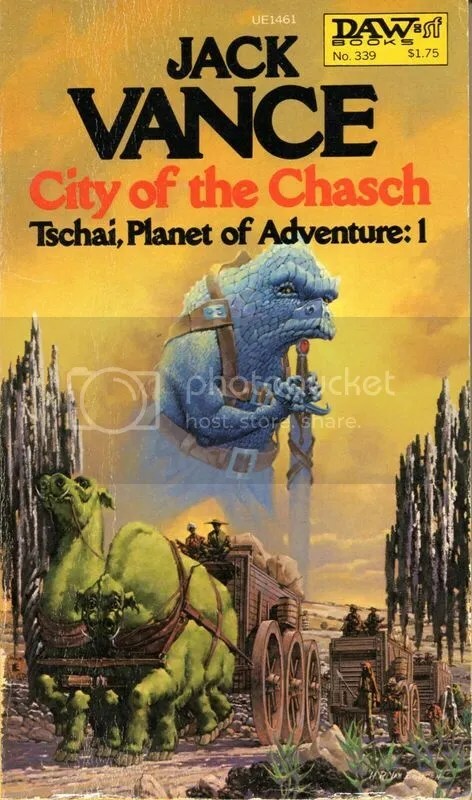 Although I grew up reading Clarke and Asimov, it was reading Jack Vance’s Planet of Adventure and Cordwainer Smith’s stories that really reminded me of what speculative fiction *should* be. Asimov and Clarke became far too self-conscious. Vance is just plain fun. I also find it really interesting to note the publishers for the books you list here: DAW, and one Ace double. The large majority of Tubb’s Dumarest books were published in the US by DAW too. DAW is still a place where one can find “the good stuff,” if one is willing to look. It might be an interesting take on the Appendix N story to investigate who was publishing what when. Oh yeah, that is interesting. The death of the drug store spinner rack was worst thing to ever happen to science fiction. You see people commenting about book stores as if that has always been the prime sorce of sff for people, but it just isn’t so. Avon was publishing Foundation, Amber, and A. Merritt as if they were all contemporary works well into the seventies. The elephant in the room here is that Edgar Rice Burroughs was the most influential science fiction author of the 20th century. Most critics are in denial about that. People that followed his lead defined science fiction for role-players in the seventies. For me, the library was (and still is, come to think of it!) my primary source of SFF. The old Tolkien and Lewis cartoons led me to their books, and then I realized there was a whole section of the library devoted to books like that! Got any of those affiliate links to Toyman? Three superb authors, and beyond them: Andre Norton, H. Beam Piper, Poul Anderson, Leigh Brackett, Edmond Hamilton, Moore and Kuttner, Merritt…follow the trail of their stories and it always leads back to Burroughs. ERB is down at the roots of both science fiction and fantasy in the American Tradition. Too bad so many people are in denial about him, and so many younger readers don’t know him or his stories except as echoes in other people’s work. The serious “big-name” SF writers of the Seventies weren’t writing sword-and-planet adventure stories. Asimov was coming off a decade of mostly nonfiction writing, and was publishing _The Gods Themselves_, about inter-universe travel and contact with extremely non-human intelligence. Clarke never did write adventure stories, and in the 1970s was writing _Fountains of Paradise_ and _Imperial Earth_ when he wasn’t being a space-program and scuba booster. Heinlein had shifted from his adventurous “juveniles” and was doing big serious doorstoppers like _Stranger in a Strange Land_, _Moon is a Harsh Mistress_, and _I Will Fear No Evil_. Niven was probably the brightest new star, but he wrote very thoughtful hard SF. So the writers from that decade who are remembered the best are the ones who weren’t writing adventure stories. I don’t think you have to assume some kind of publishing conspiracy. SF in the 1970s was taken very seriously by a lot of people, and the top writers were taking advantage of that to write fairly serious books. Serious books don’t make for good roleplaying ideas. Well I’ll say this for Asimov: we are living out key elements of “Nightfall” right this minute! I wouldn’t say the big three were insignificant — what I would say is that they tended to write closed-end stories that got them to where they wanted to be in terms of the shock ending or point they were trying to make, and, as a result, tended not to spend a lot of time on creating that sense of open-endedness which was so necessary to RPGs. Even the Foundation Series didn’t really lend itself to roleplaying; except as drastically morphed by Traveller. The big three were very serious about their craft, and gave us some truly incredible works, but at the same time, they didn’t seem to have as much FUN exploring things and showing a sense of adventure as the “lesser lights” did. And fun is what makes an RPG go ’round. So maybe what I’m saying is “maybe not insignificant, so much as somewhat irrelevant.” I read Asimov and Clarke for jewels of fiction, and Heinlein for great entertainment, but I read Vance, Zelazny, Kalin and people like that for inspiration! Yes, and Howard and HPL and Burroughs too! Pingback: TRAVELLER: Out of the Box–“Giants of the Imagination” | Tales to Astound! Interesting. Back in the late 70’s / early 80’s when I discovered roleplaying I read perhaps 1/3 to 2/3 at most of the D&D & Traveller listed inspirational books. Aside from introducing me to a new hobby they put me on to some quite different authors. But I must be amongst a small minority: Heinlein, Clark and Asimov definitely informed my world building and scenarios. 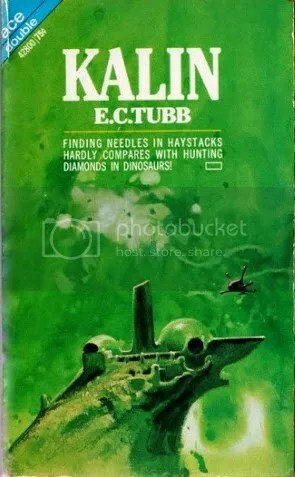 Then and later, along with a guy called Alan E Nourse, plus the guy who wrote all those stories about hospitals in space, plus Niven & Pournelle. And, Andre Norton for both Fantasy and SF. Heinlein & Norton gave me my traders. Heinlein and Niven+Pournelle gave me my space military. Asimov gave me a humans only universe, which I’ve tended to follow in my Traveller (non OTU) games (and quite a few FRP – just not good with Aliens and Elves I guess…). And Clark and all the others gave me that sense of wonder and sense of strange worlds. But this and other similar reviews of fictional inspirations I’ve found on other blogs this year have reminded me of a whole lot that I missed. For example, I’d never read a Dumarest story until a few weeks ago. So might be time to freshen things up by looking at some of the other sources. I’m certainly enjoying Dumarest. Just a clarification: there were no “Traveller listed inspirational books.” Not explicitly When there is no explicit reference to the inspirations, there is basically no discussion or interaction on it. 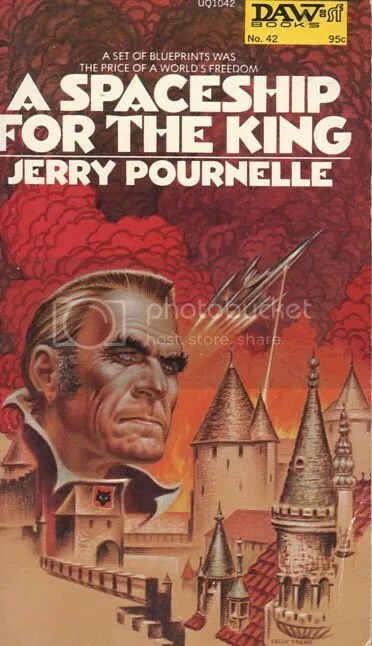 That’s why Roger Zelazny hasn’t come up when people have discussed Castle Amber over the years. I believe the definition of “generic science fiction setting” shifted tremendously between 1977 and 1987. The original 3 Traveller little black books are essentially a “Secret of the Ancients” in their own right. I am remembering back to university when people looked at the ad&d list of books and came up with our own lists for traveller and sfrpg in general. So that is mostly the ‘list’ I am remembering. The mostly dnd players at uni (1979-81 for me) were the ones who mentioned vance and also the dumarest stories which surprised me. They knew a lot of SF i didnt at the time. Your blog and talestoastound (whose refs to you got me here) are the most recent reminders of possible candidates for such a list. Thanks for the discussions btw. I am finding it all quite fascinating. And yes I agree 1977-1987 saw a big shift in SF settings. Might be just me but before then SF hadn’t ever quite made it on screen. Individual films for cult followings yes. Not mainstream as such. Then we got alien etc plus star wars etc. Then the terminator series. And to me it seemed cinema became a much more powerful source of inspiration to many of the players joining the hobby then. Different from those of us who got most of our SF originally from books. Oh, I agree with that! Almost every time people describe sff history, they extrapolate backwards from 1950 movies and television in order to paint a picture of a past that doesn’t exist. Within literary discussions, people take the narratives pushed by multiple anti-pulp movements for granted… without reading anything to check. Thus, science fiction in the Burroughs/Brackett/Vance tradition is now astonishingly obscure. All the more so since it was a dominant force in game design in the seventies. PS: I forgot to say – it is quite interesting the difference in feel between those games I’ve played that were inspired mostly by film and TV rather than books. I like film and TV. A lot. But books have always been the primary vehicle by which fiction and imaginative authors have most effectively transported me into another world.